Time to SPRING into action and get the most effective overall comfort and protection that is available for your knees! 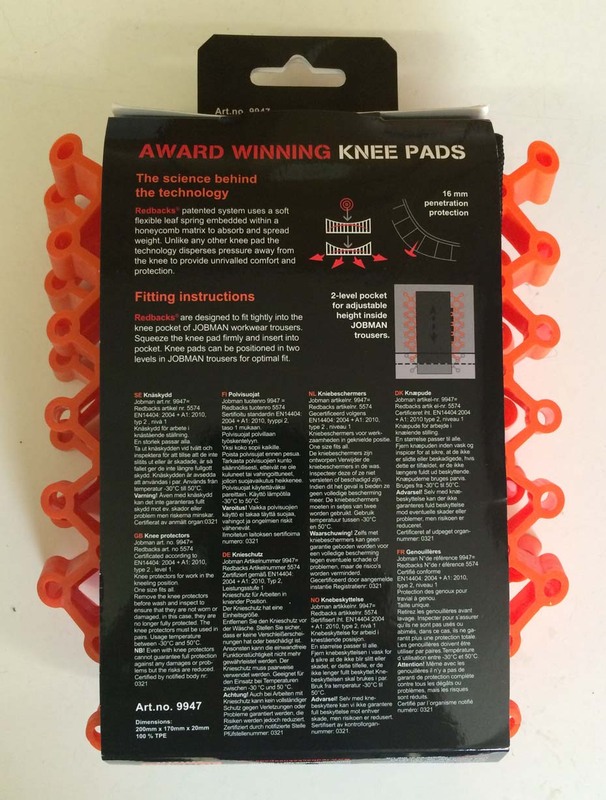 These award winning ADVANCED Knee Pads feature patented, leaf-spring technology that evenly dissipates the user's weight, bringing unrivaled relief from the pain and discomfort associated with kneeling. Redbacks® knee pads are patented worldwide and are CE approved for use in pocketed workwear workpants such as JOBMAN Workwear workpants that have knee pad pockets. 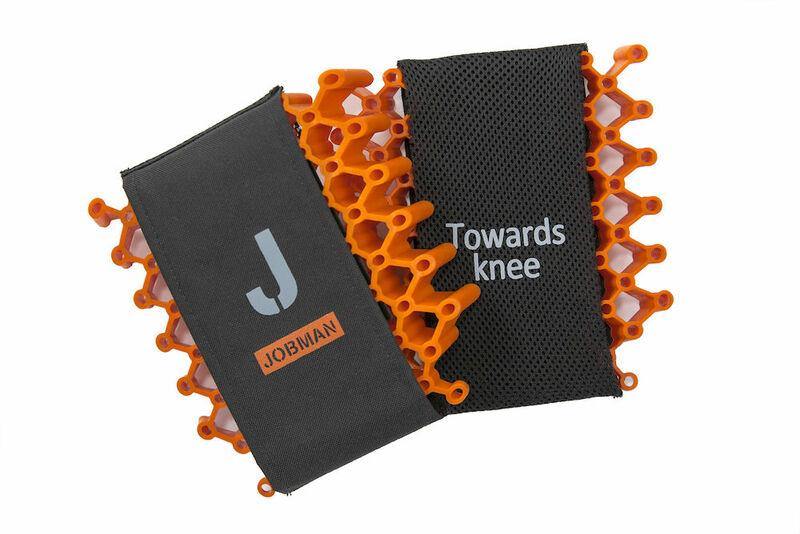 JOBMAN Workwear has teamed with a proven performer to further our Knee Pad Line. Redbacks Cushioning is a UK company that specializes in helping people to work safer, more comfortably and for longer, whatever their working or leisure environment. Their mission is to continue to develop class-leading products that promote good health, comfort and well-being by reducing pressure on the human anatomy. 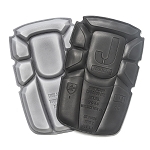 JOBMAN Workwear has added this award winning Knee Pad to our line to provide the Best Protection available anywhere in the world for your knees. If you are on your knees all day, there is no other kneepad available that will protect you better than these 9947 knee pads. 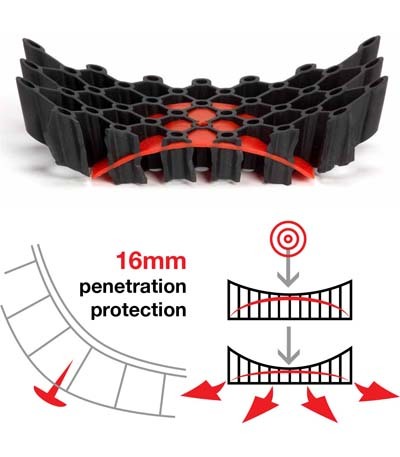 This unique cushioning technology feature a soft and flexible TPE (Thermo Plastic Elastomer) leaf-spring set within a unique honeycomb matrix. 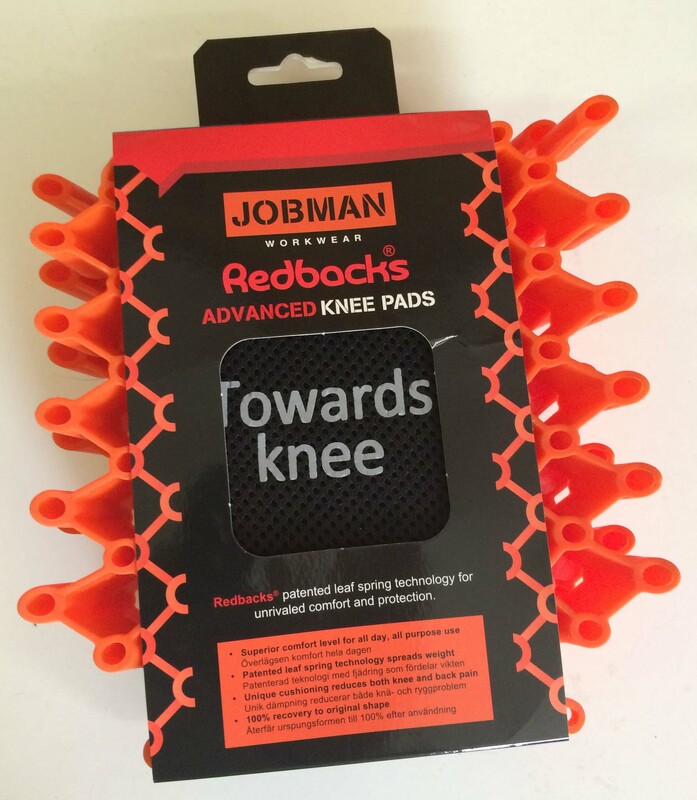 This unique Redbacks® Cushioning Technology distributes body weight evenly, elevating the knees to relieve back pain and reduce pressure on knee, leg, ankle and foot joints, while minimising the risk of possible injury from sharp or penetrating objects. They are non-absorbent to moisture, breathable and allow for the free movement of air and water. These knee pads help workers go about their duties with true confidence, allowing the knees to be comfortably suspended above hard, rough or uneven surfaces and protected against injury from sharp objects. These knee pads can be washed or dry cleaned in the pants or removed and washed. 100% Shape Memory - they will return to their original shape no matter how much you twist them or try to change their shape. They support up to 990 lbs per kneepad without kneepad failure. Best of all I have ever used. First, I must confess that I am new to having knee pads in pockets that are built into my pants. That said, these knee pads are a delight. They feel like miniature sprung mattresses for my knees. They weigh so little, that the first time I knelt on one, I had forgotten it was there. I haven't owned them long enough to report on durability, but so far, there's no retained compression or shape change from use. Every time feels just like the first. Can't imagine going into work without these. No better knee pad for working on concrete floors. These are a lot better than the orange foam ones I used. The orange foam ones worked well for almost 2 years but now my knees start to ache when I kneel on them for longer than 30 min (I know I kneel on them longer than the time suggested). These ones are though to put in, and it does feel stiffer than the foam ones so it does take a little getting used to. It's also a bit shorter than the foam ones so depending on where your knees are, you may have to pull up your pants a little to get the pad to cover the top part of your knees. But if you need to do a quick kneel, the position is fine. I can go for hours on these. I've been a flooring contractor for 15 years and tried many different types and brands of knee-pad inserts. These are surprisingly comfortable. They are a really tight fit into the kneepad pocket of jobman floorlayers trousers (so tight you may think they won't fit). They are harder than the foam type inserts, but I have no doubt that they will keep their shape and outlast the others. I wish they where taller as they tend to fall to the bottom of the knee-pad pocket, but even when I kneel on the top edge it isn't too uncomfortable. Q: Son is a flooring installer need lots of protection What's the best type and style to buy as gift for him? A: This is a great selection! These kneepads will provide him maximum protection comfortably. They fit tightly into JOBMAN Workpants, and also other brands of workpants. Designed for floor laying professionals. Q: is the price listed for one knee pad or for a pair? A: The price listed is for a pair of kneepads.